﻿ Shopclues.com - Please Help Me To Recover My Money From Shopclue.com. 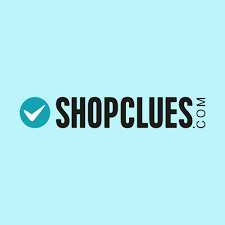 Home > Shopclues.com > Shopclues.com - please help me to recover my money from shopclue.com. Shopclues.com - please help me to recover my money from shopclue.com. You help to every one and I hope you will also help me as we need the help from you because I need the refund of our money from shopclue.com and it is jointly with my daughter school annual fees we get help in this, I am doing my fight with them but if we get support from your side then it will be great full to you, and we are begging for the same, the amount which shopclue has blocked are, 294+319+369 this amount are they are not doing the reverse pickup for they sent us the wrong product and the amount 503 are they are not giving us of my daughter dress of puja purchase payment, on purchaseing amount you can understand that we are very low middle class family and on this small amount also we are very needy for the same, please help us to recover this amount from the shopclue, in the middle of nov-17 my daughter annual exams will start for that I required the preparation of her study which I have to do as she does not has any teacher which we can afford and this we already informed you in our earlier letter, please help me to recover my money from shopclue.com.